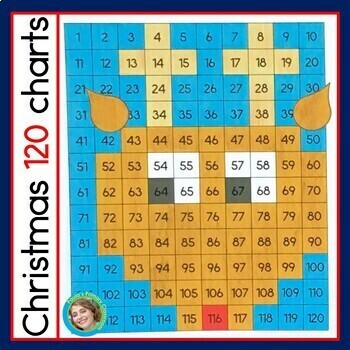 Your students will work on number recognition to 120, writing 2 digit numbers, following directions, and fine motor muscle development with these hundred twenty chart puzzles. Each puzzle / mystery picture is presented at 2 or 3 levels of difficulty, so it is easy to differentiate! 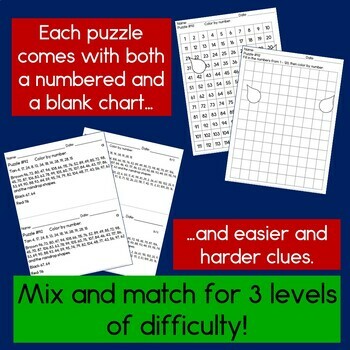 Best of all, these puzzles require no preparation - simply print and go! Includes Santa Claus, Rudolph, a snowman, snowflake, candle, Christmas tree and candy cane. 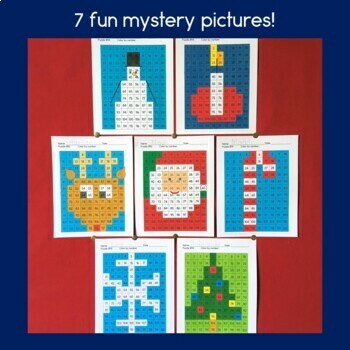 "My kids love hidden picture activities! 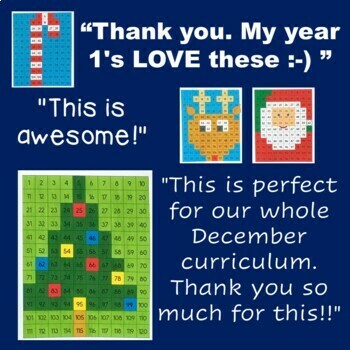 This is perfect for our whole December curriculum. Thank you so much for this!!" Christmas Sight Word Mystery Pictures.